Manufactured using premium disc blanks mentioned above, the unique wide aperture slots in the EBC sport rotor actually draw cool air under the pad during heavy braking and reduce brake temperatures whilst also helping remove dirt, dust and debris and gasses created by heavy braking from the pad contact area. 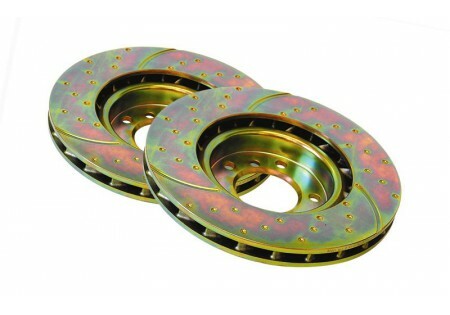 They also improve braking in off road conditions of wet, mud or sand and as such are a great choice for 4x4 vehicles. Blind drilled holes eliminate the chance of rotor cracking which is common with ''through drilled'' or completely drilled vent holes. 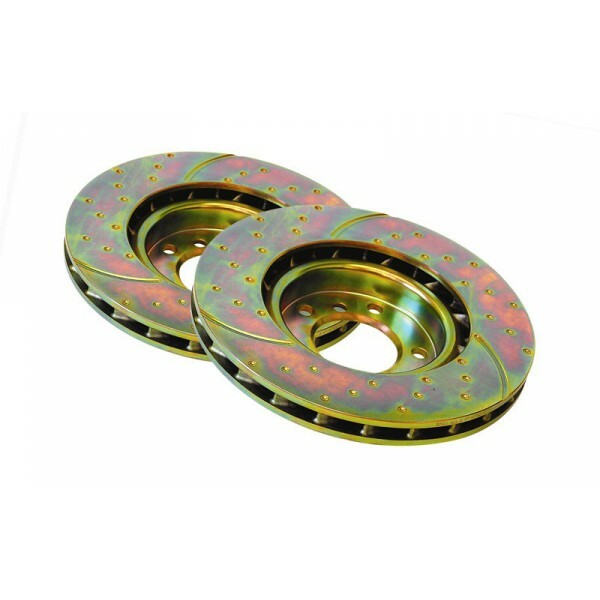 EBC Turbo Groove and Spotty Discs are directional left and right which is nearside and offside of your vehicle. The spotted pattern and the sweeping grooves should be pointing to the rear of the vehicle.